Check your Boobie App | Cancer you havent a hope! 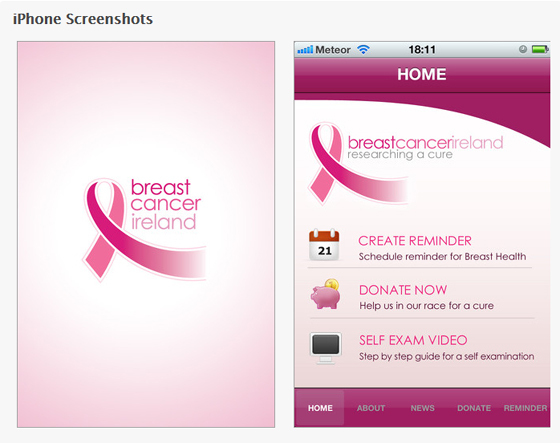 Breast Aware is a medical / educational app promoted by Breast Cancer Ireland and helps women, through a reminder, to perform a breast check monthly or quarterly. It is important to get into the habit of examining your breasts once a month so you can understand what is “normal” for you, so that if any abnormality should arise, it will be detected immediately and action can be taken. Earlier detection leads to a much more positive outcome. Thanks Carolann Daly for letting us know about this!